In order to achieve the original vision of NULS, which is to make blockchain simpler, the NULS team and the NULS technical community have been working closely together to finalize the NULS 2.0 architecture. To have a better understanding of the NULS 2.0 architecture, please read the NULS 2.0: Philosophy of Design at: https://nuls.io/api/v1/download/files/papers/nuls2.0/NULS_2.0_Philosophy_of_Design_V0.1_%28Eng%29_Final.pdf Why NULS 2.0? NULS was created to make blockchain very simple. In order to achieve the original vision of NULS, which is to make blockchain simpler, the NULS team and the NULS technical community have been working closely together to finalize the NULS 2.0 architecture. NULS was created to make blockchain very simple. So, in September 2017, the core team defined the modular architecture, which was designed to make it easier for developers to write, and for users to utilize. NULS 1.0 achieves the modular effect at the coding paradigm level, but this design doesn’t solve the problem of tight coupling between modules. Developers who want to use a module or participate in the development of a module would need to understand the design of other modules associated with it and can only use a specific language for the development of their module. This is not friendly to the NULS vision for the technical community which anticipates intense, active participation in the design and development of NULS architecture, as well as the user’s supply of simple and low-cost modules. 3. Complete elimination of programming language limitations. The core team introduces an innovative microservice concept in the infrastructure design of blockchain, which designs software applications as service suites that can be deployed independently. This concept introduces the most advanced ideas in the 1.0 architecture and transforms them with enhanced flexibility into a new modular design, making modules as flexible as programs that can start independently. This new modular architecture enhanced with microservice suites, that have no programming language limitations, is called NULS 2.0. Modules in this architecture enjoy even more decoupling, while the feature of multi-language development greatly improves the contribution of code and the convenience of users. At the same time, it is even easier to extend, since the enhanced design of modules supports distributed deployment and hot module replacement. 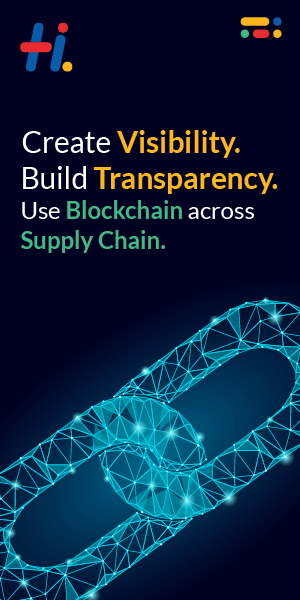 Both Chain Factory and Cross-Chain Modules are being developed in coordination with this architecture. The first layer is the micro-service infrastructure layer. The second layer is the basic service layer of the blockchain. The third layer is the DApp application layer. This design refactors NULS from the perspective of the blockchain, to a higher level of cognition that will bring NULS into the new era of NULS IS EVERYTHING. The core team has decided to refactor the NULS 2.0 architecture based on this new architectural design. The result of this decision inevitably means that with certainty NULS will become a truly powerful, one-of-a-kind and supremely flexible platform. This architecture allows for the development of more advanced applications built on the second layer (such as the distributed system of exchanges, the data service system, and systems similar to DiDi, all of which can be built on the second layer). Another significant benefit of the architecture is that the NULS system will not only build out multiple chains and multiple DApps, but also other large and medium-sized non-blockchain commercial systems, such as Internet, mobile Internet, Internet of Things, car networking — the possibilities are endless! The new design empowers NULS to be more than just the underlying infrastructure of the blockchain and instead transforms it into a distributed system infrastructure that seamlessly integrates with the blockchain system. It will be a platform for seamless communication between different systems (blockchain and other systems), which will enable businesses built around NULS to flourish more quickly while greatly reducing development costs. This overall optimization gives NULS innate, and undisputed competitive advantages. Ensuring the success of an open-source project is difficult; very few achieve mass adoption, and in our case this is no different. So, what exactly do those very few triumphant open source projects have in common? All of them have managed to create an industry around them: For-profit companies creating businesses around an open-source product is the best proven way to assure the long-term survival of any project. With this in mind, the new expansion and redesign will allow companies and entrepreneurs to build solutions around NULS cheaper, faster and with an efficiency that blockchain has never seen before. High buildings rise from the ground up, and NULS will rise to the top, building each layer system by system, and step by step!